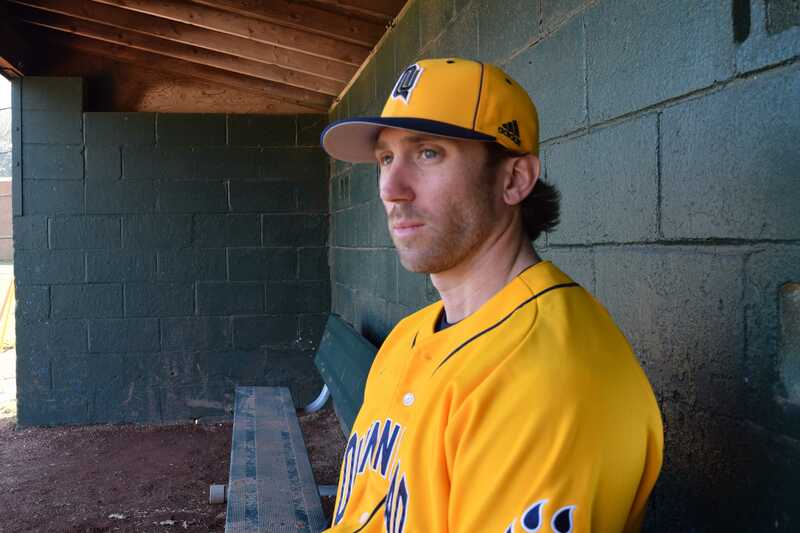 Quinnipiac baseball head coach John Delaney continues to instill his aggressive and hardworking qualities that he possessed as a player for the Bobcats. It’s 6:30 in the morning. John Delaney faces his daily alarm clock, his 18-month-old son Jackson. It’s the “first inning” of Delaney’s day and one of the only parts of his day that doesn’t revolve around the sport that he loves. The second-year manager for the Quinnipiac baseball team spends the first two hours of his day playing and laughing with his son. It is how the skipper stays grounded. With Delaney at the helm, the Quinnipiac baseball team is one of the most prominent teams in the MAAC. Delaney’s first season as head coach brought Quinnipiac one of its best seasons since the program became Division I. In 2015, the team tied the program record for wins with 29, an 11-win improvement from the year prior. Within the MAAC, the Bobcats put together a 15-9 record, good for third in the conference. For Delaney, winning and success begins with two ideas: being aggressive and being a family. Delaney makes his way on to the Quinnipiac campus, the calm and cool demeanor quickly transitions to the aggressive mentality he practices each and every day with his players. Delaney’s aggressive demeanor spawned from sports battles between him and his brother, Jason, in their hometown of Hanson, Massachusetts. Standing at 5-foot-10, Delaney faced a tough challenge in playing against his brother, who stands at 6-foot-3 and weighs over 230 pounds. During his playing days at Quinnipiac, Delaney was the leadoff hitter for a team built on power and home runs. Delaney found himself beating out throws to first and stealing bases, something that did not go unnoticed. In his time with the Bobcats he collected four All-NEC honors, including a first-team selection in each of his last three seasons with the Bobcats. Delaney was drafted by the Milwaukee Brewers in the 2008 MLB Draft. Before retiring three years later, the third baseman was one of their best prospects and was honored with the “Hardest Worker Award” at the Brewers’ 2009 spring training. When players enter the weight room, they are pushed to reach goals that aren’t always easy to achieve. With the help from Delaney and strength and conditioning coach Jeff Moore, the team has created an environment in the gym that mimics the big leagues. After an 11 a.m. lift, the team heads to the locker room. Time in the locker room is spent focusing and preparing for when the team steps on the field in 60 minutes, but it’s also reserved for team bonding. Building a family in the clubhouse is one of Delaney’s greatest successes since taking over as manager. Delaney looks at the team as a unit rather than a group of individuals. He thinks a player shouldn’t focus on not having a hit in four at-bats but instead focus on the quality within each of those at-bats. The quality can come from moving a runner over or getting a sacrifice fly. “If we develop and push guys on how to play and do stuff the right ways, I think you start to create an environment where 32 guys are working at that together and that’s an atmosphere that creates success,” Delaney said. Delaney and his staff have quickly become “coaches for the players” in the eyes of his team. The clock hits noon in the team locker room. Quickly, everything gets back to business for the Bobcats. Delaney always starts team practice differently from the day before, from situational hitting and base running to fundamentals in the field. The practice methods, although different from the usual, are fully embraced by the players. For “JD,” as his players call him, his aggressive on-field approach and more relaxed off-the-field persona has helped turn around a program that was not previously considered a conference contender. The team ranked second in the MAAC Preseason Coaches’ Poll and ranked as the “Team To Beat” in the MAAC by Baseball America. After Delaney gets out of practice later in the afternoon, he holds meetings with any players that need to speak with him. After that, Delaney hops back in his car, jamming to Eric Church as he heads back home to his family. 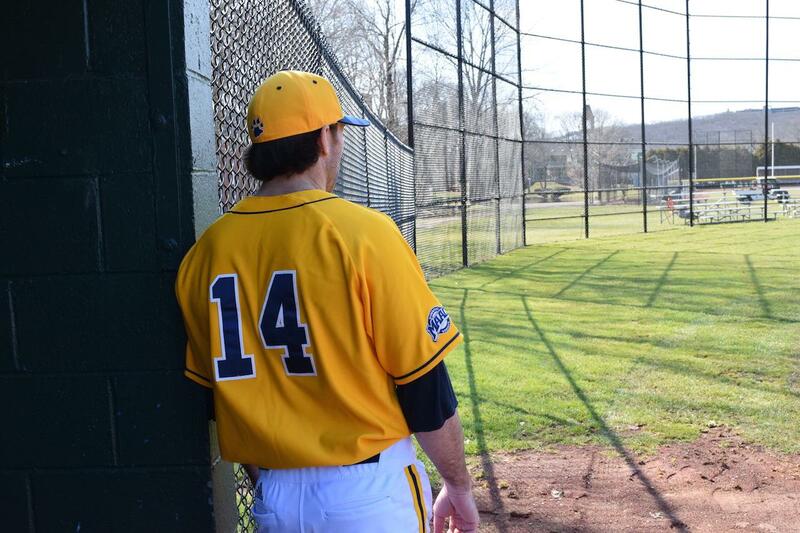 Delaney’s day-to-day lifestyle has created a culture of winning for the Quinnipiac baseball team.